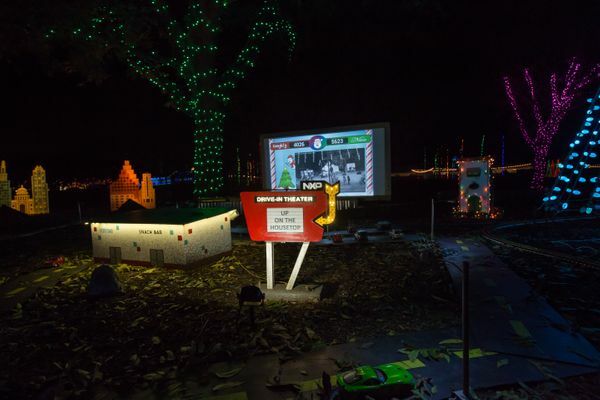 For the the past 3 years, NXP has put their innovation on displays by giving some #locallove to Tiny Town, one of the Trail of Lights' oldest displays. 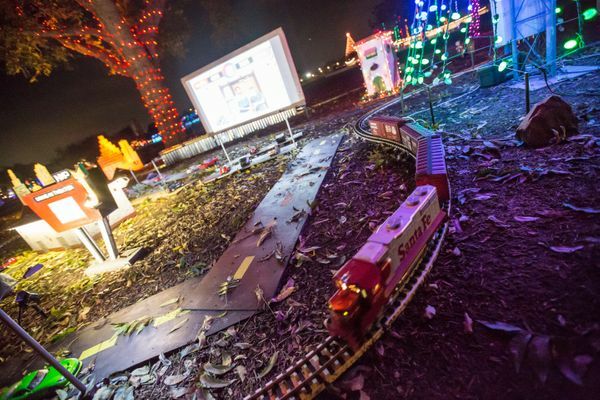 This display features a miniature Austin littered with local landmarks, with the addition in 2016 of the Seaholm Power Plant, a miniature Zilker Tree and live feed from the actual Zilker Tree across the street. As a company committed to driving innovation in the safe & secure autonomous vehicle market, it's no surprise that a main portion of Tiny Town's interactive display is highlighted by transportation. The folks at NXP have engineered two trains and multiple cars within the display to be driven throughout Tiny Town by remote staff, thereby further engaging NXP employees with trail-goers in real time! The interactive display continues with their featured "Naughty/Nice" podium, where kids and adults can choose their own holiday adventure... Naughty or Nice. The Tiny Town Zilker Tree will light up red or green according to whichever button is pushed. Kids get even more excited when coal falls, presents appear and corresponding sound effects respond to the button push. In 2016, this unique activation attracted impressive engagement of 122K Naughty button pushes and 152K Nice! 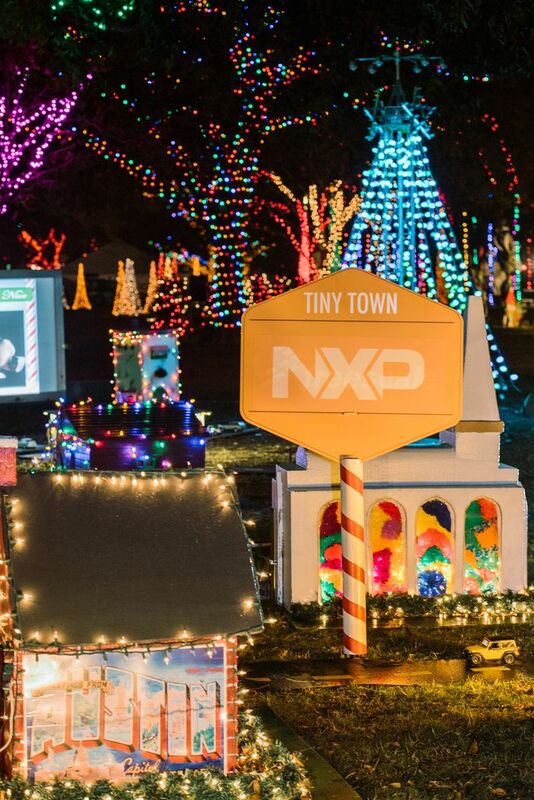 Beginning in 2014, NXP (formerly Freescale) re-engineered our 30-year old miniature Austin display, Tiny Town. 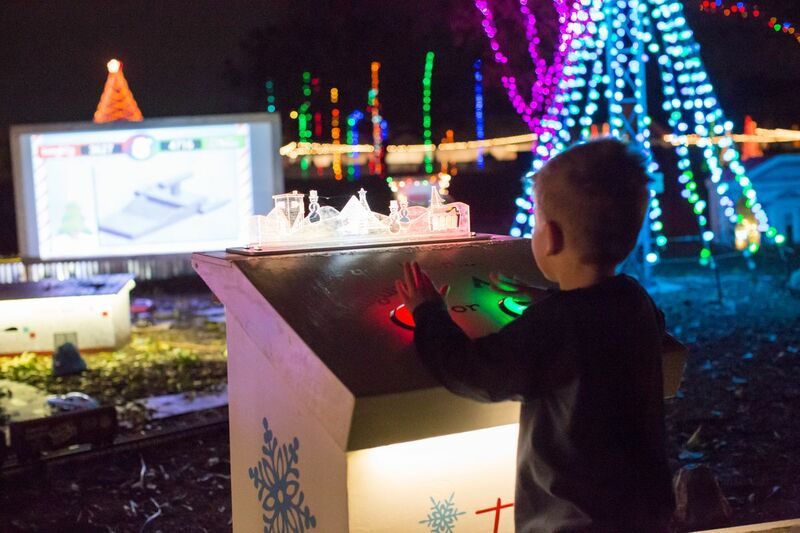 Then creating the very first technologically interactive display at the Trail of Lights, and they've been energizing every year since. We love it when our sponsors get excited and active in evolving Trail traditions into innovations to delight and amaze for years to come! Throughout NXP's sponsorship of Tiny Town over the past few years, it continues to stand out as one of the most engaging display activations on the Trail. Want your brand to stand out in 2017? Learn more today!